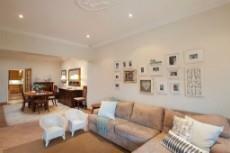 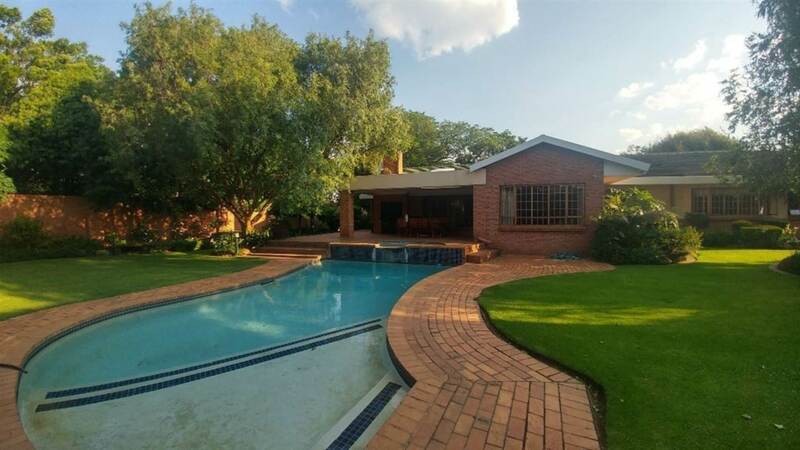 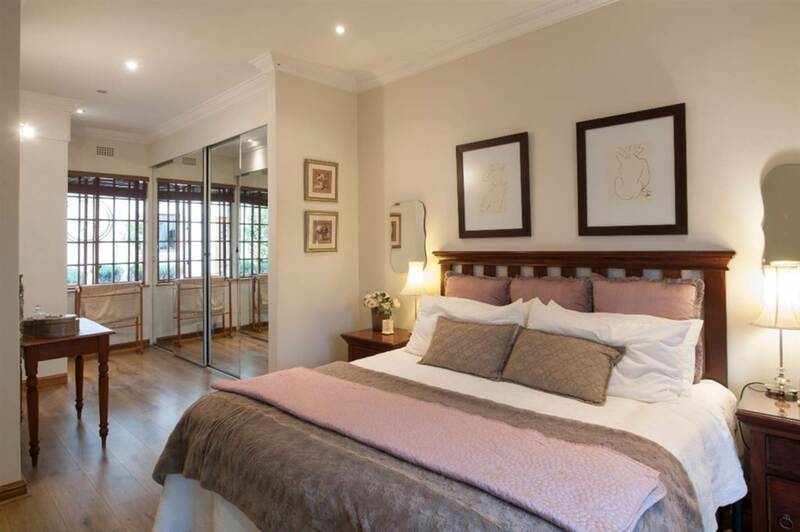 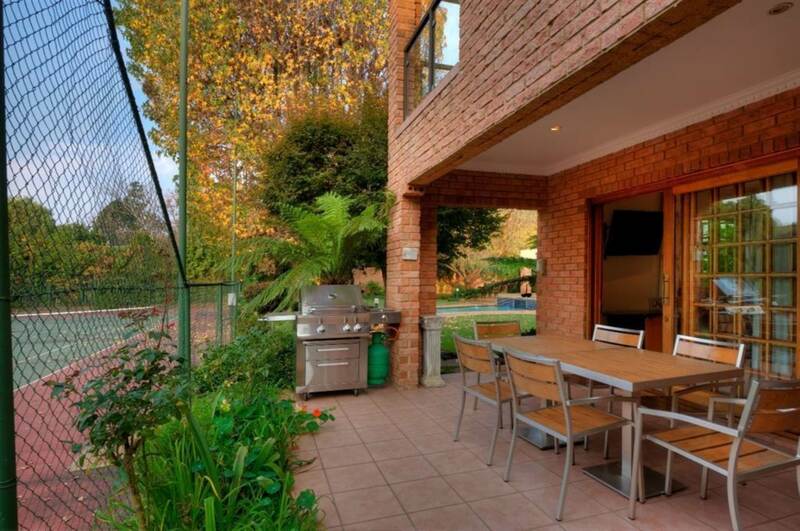 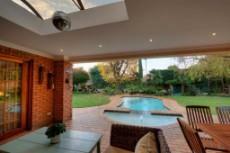 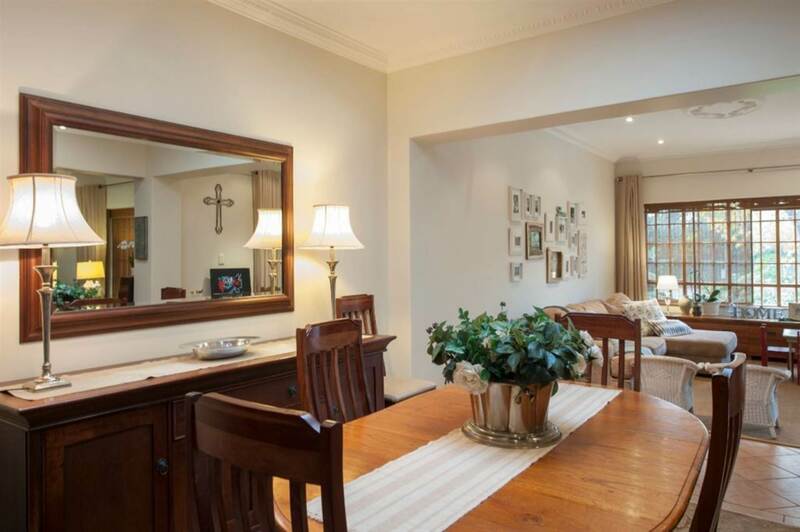 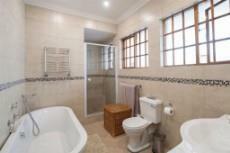 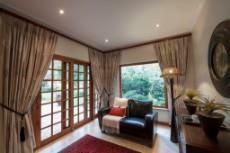 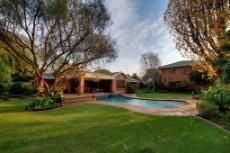 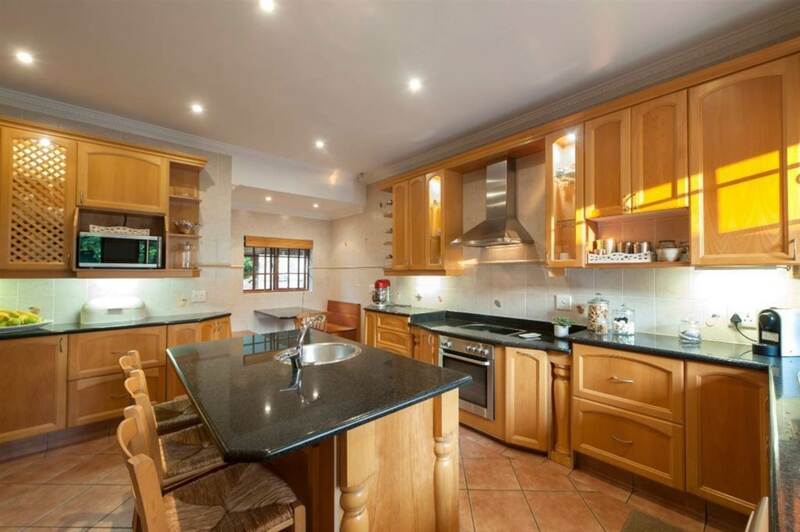 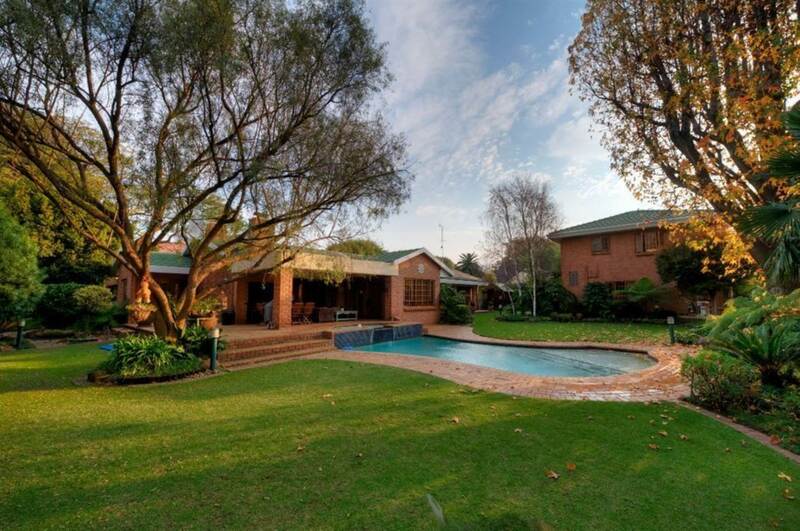 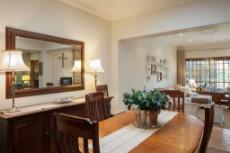 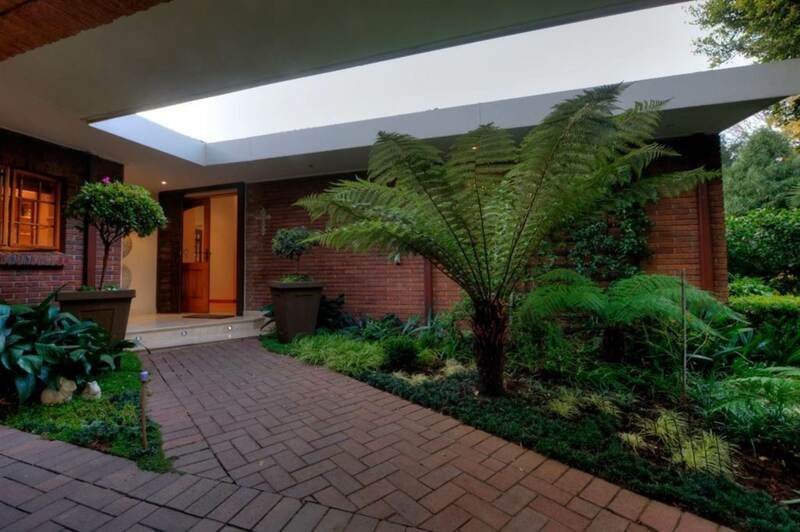 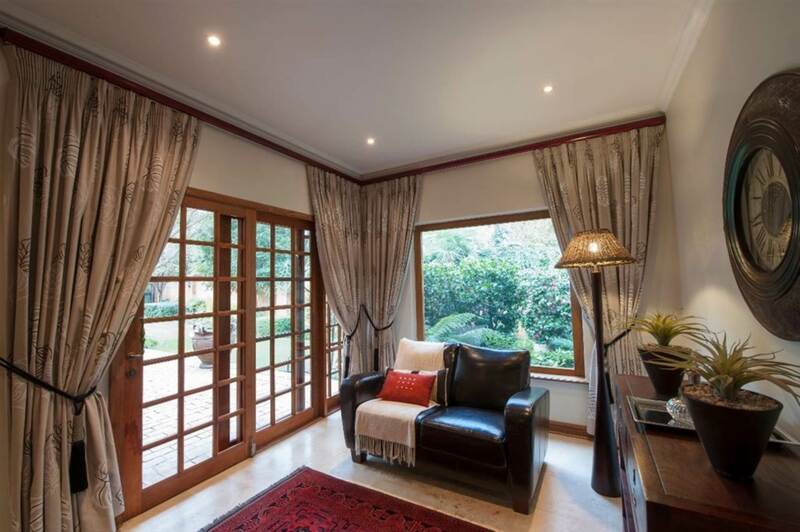 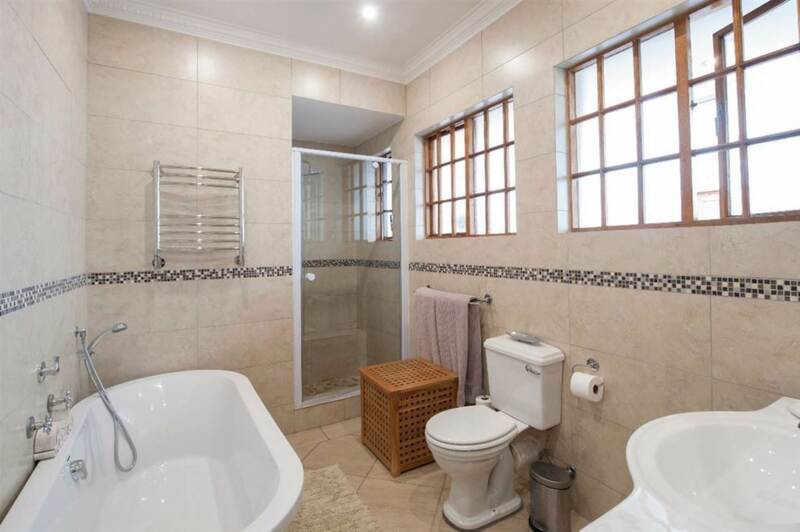 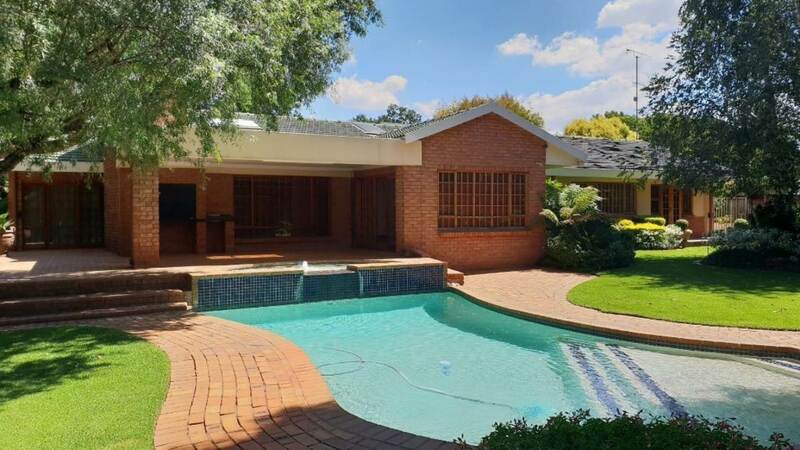 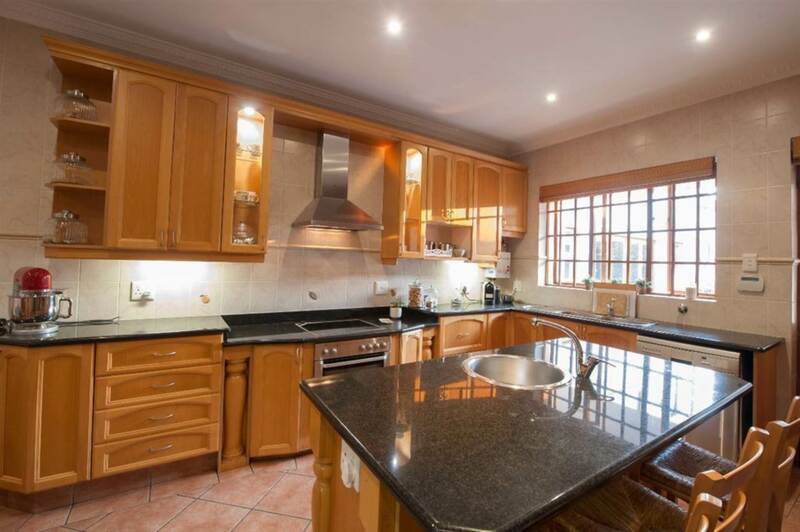 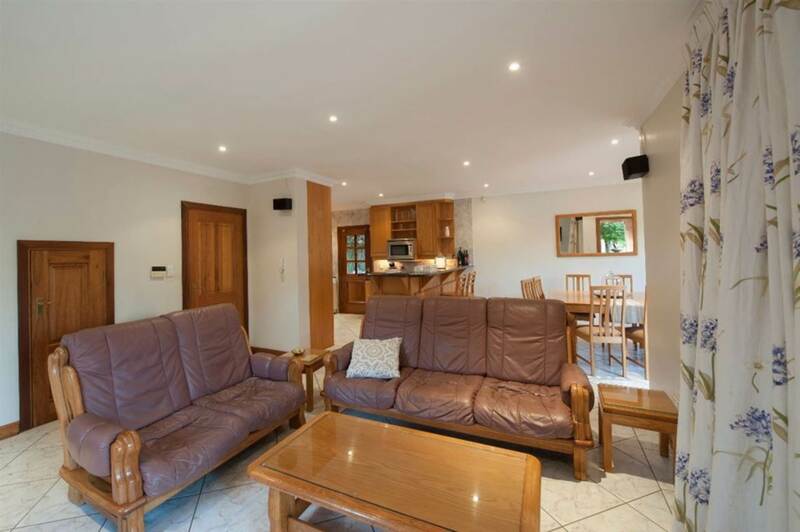 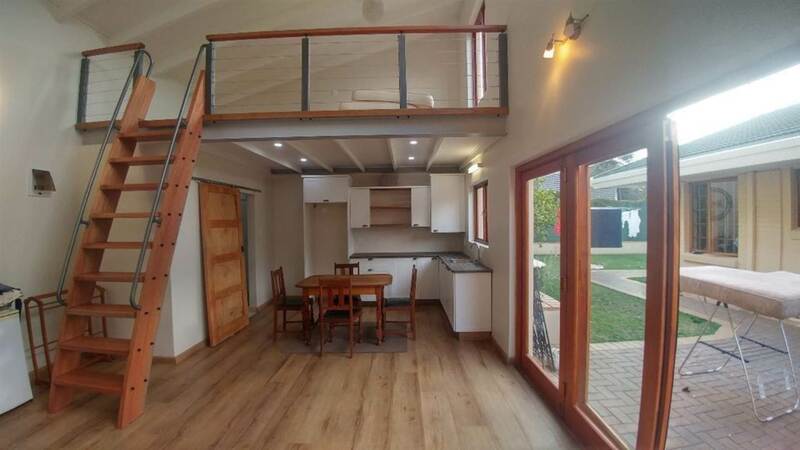 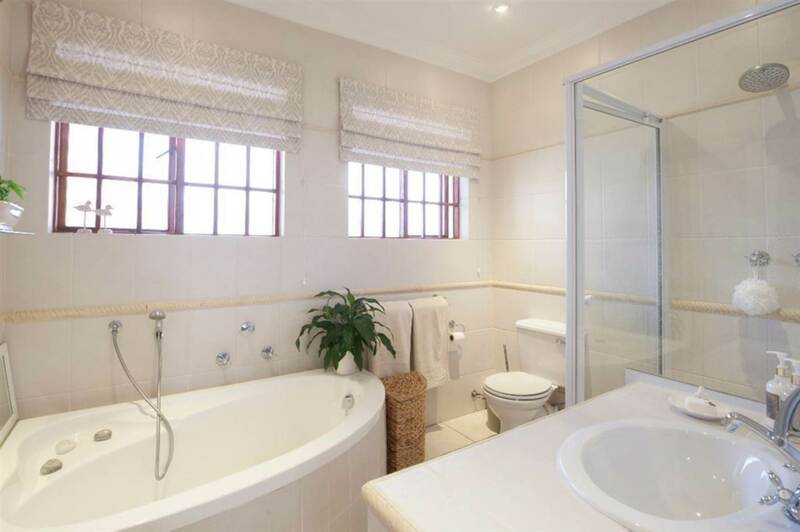 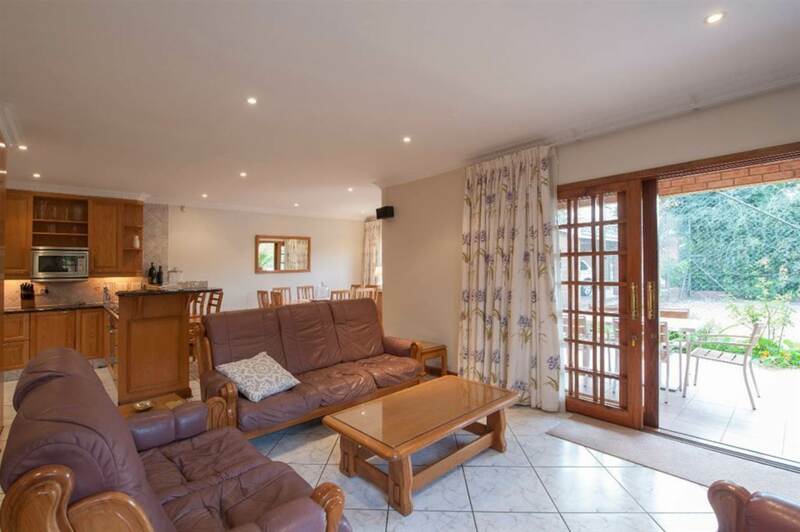 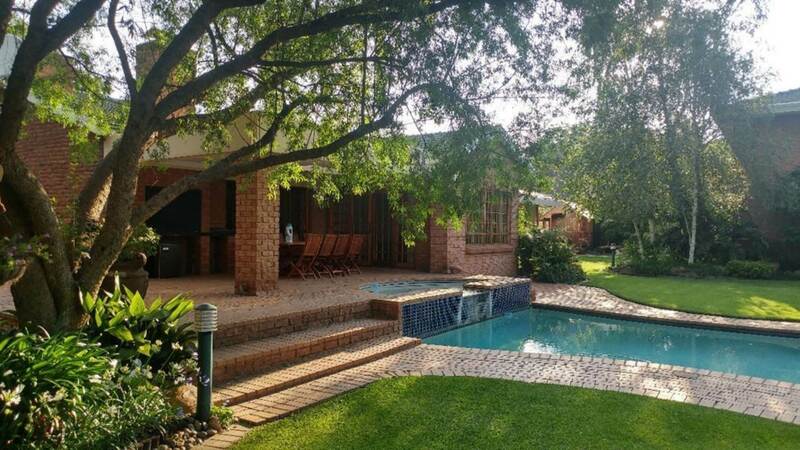 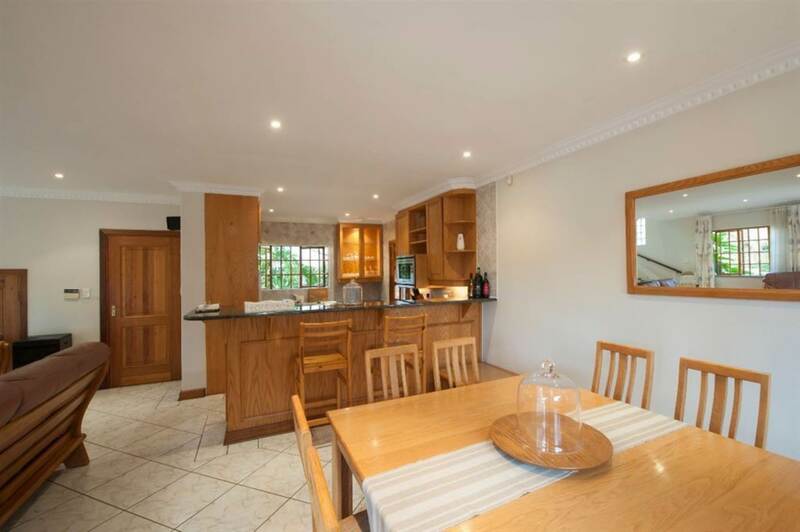 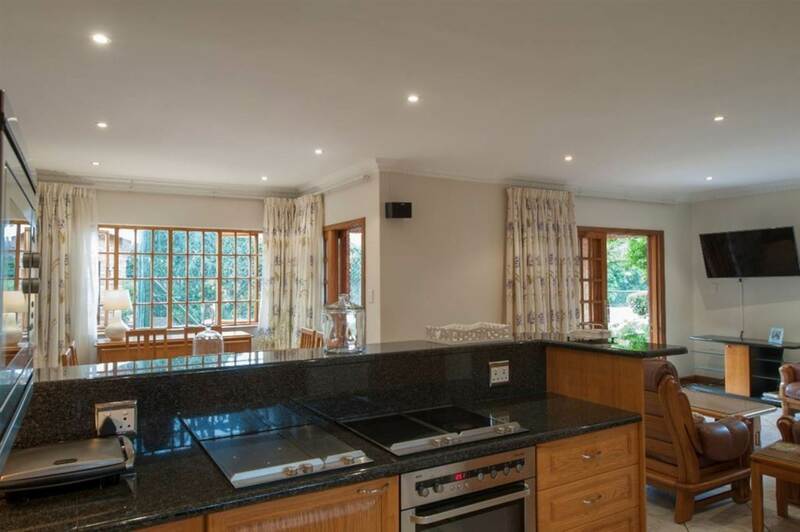 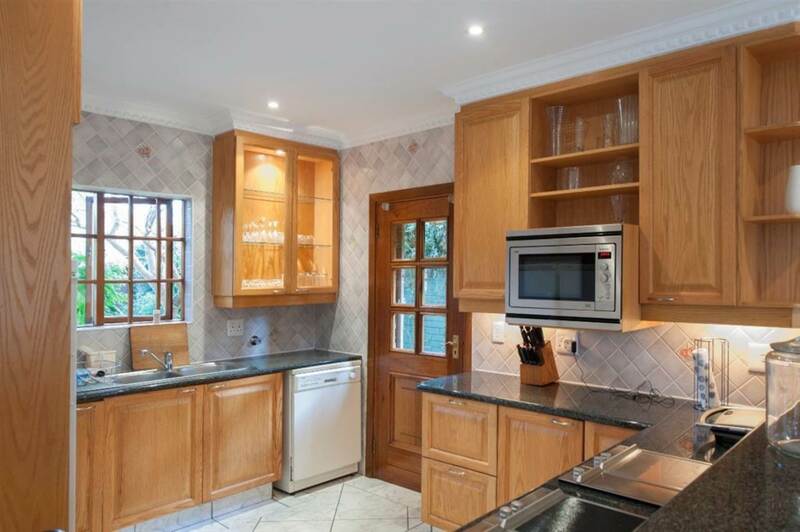 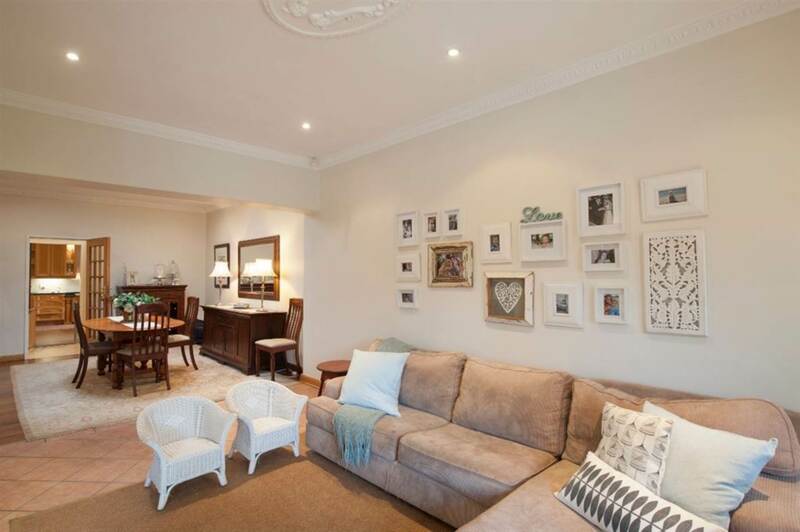 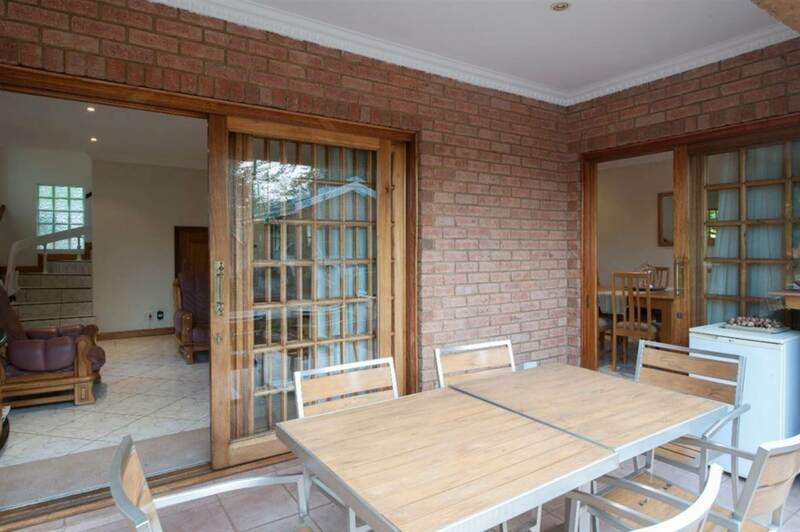 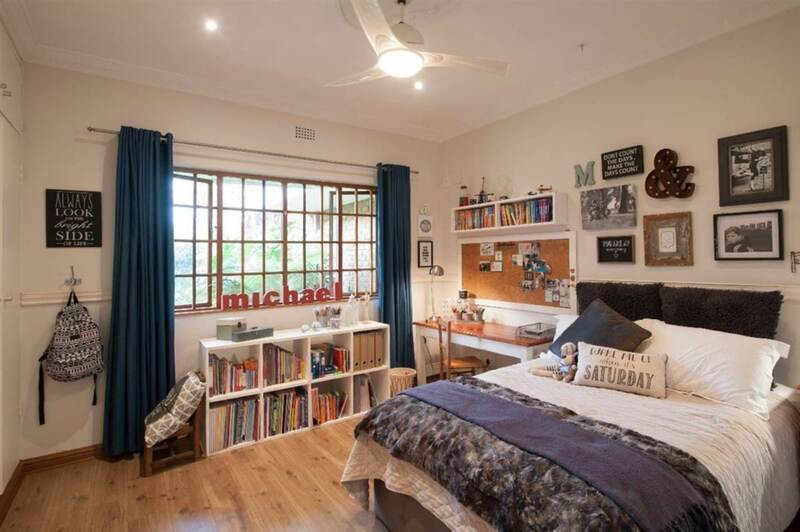 A home of Tranquility, Grace and Beauty set within the leafy suburb of Rynfield. 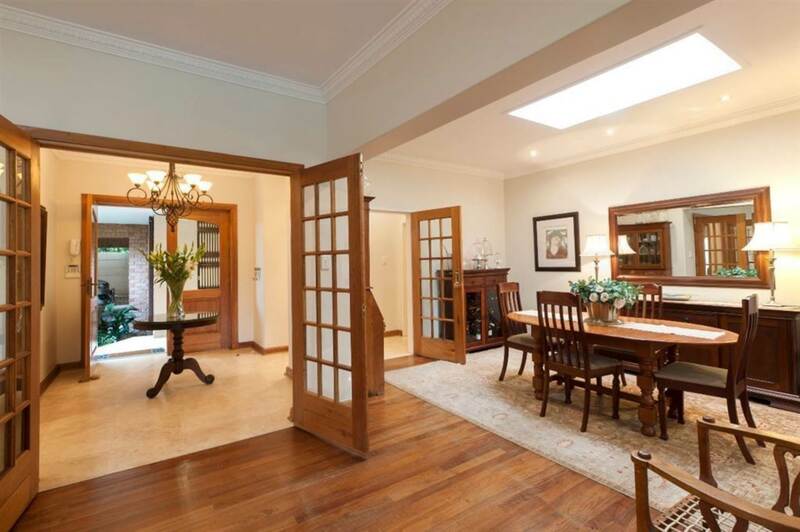 The double door entrance hall sets the tone of elegance and style. 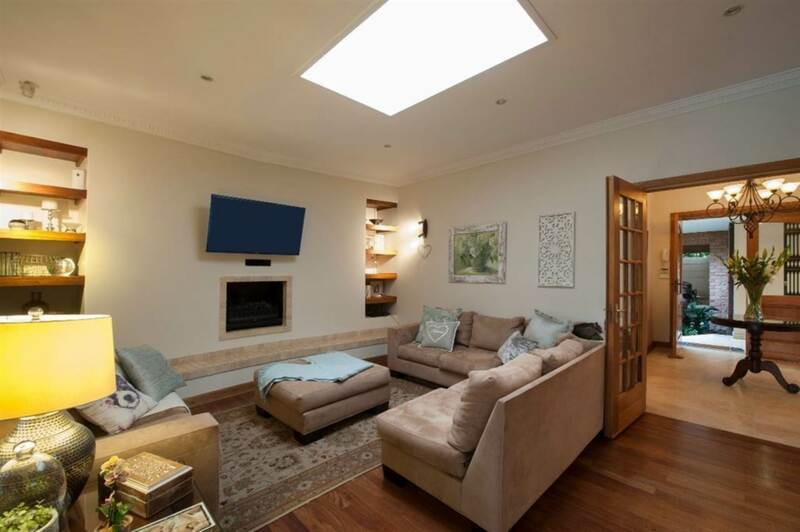 Ideal for a family with gorgeous entertainment on undercover patio with skylight leading onto feature sparkling heated pool and floodlit tennis count. Boasting: 3 Large bedrooms, (main en-suite opens to manicured garden), 2 bathrooms, guest cloakroom, large study with own entrance which opens to garden, lounge with gas fireplace, dining room and TV-room with gas fireplace, gourmet eat-in kitchen with Hydro-boil system, separate laundry, linen cupboards, deluxe staff accommodation, storeroom and auto garaging for 2 cars. 3 carports and 3 additional for off-street parking. 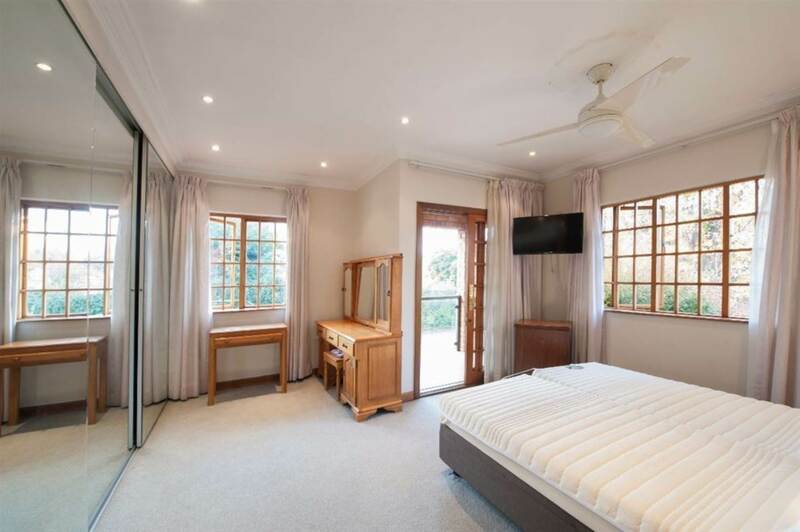 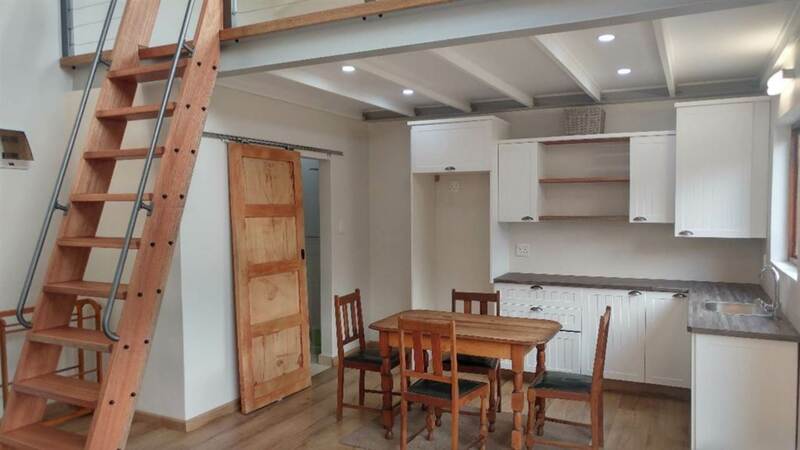 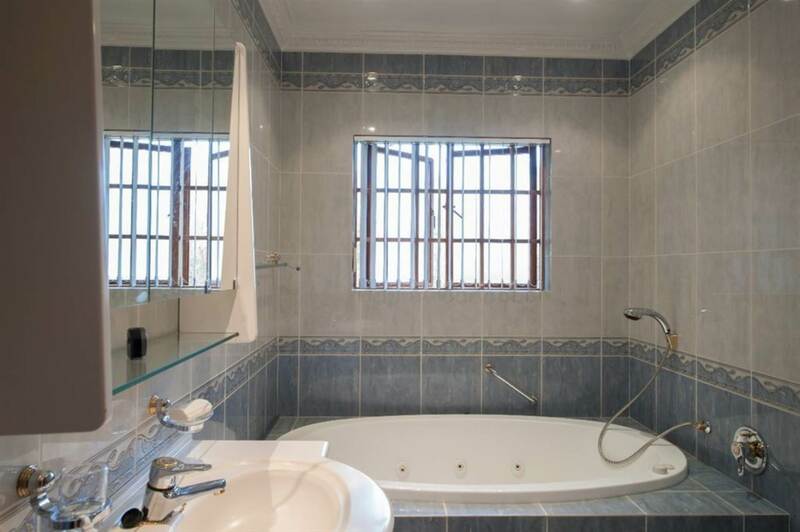 PLUS: Is the 2nd guest cottage and/or work from home office, featuring: 2 large bedrooms upstairs (both main en-suite) and the master suite with it's own balcony. 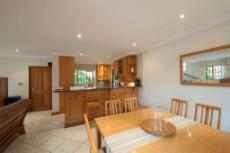 Open plan lounge, dining room and eat in kitchen. Attached to the staircase is an electric Acron Curve chair for convenience for the elderly. The cottage opens to it's own private patio and entrance. 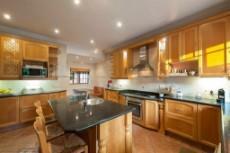 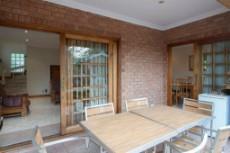 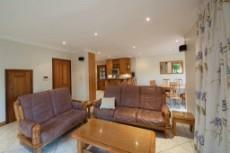 The property has excellent integrated built in security features which include 8 cameras, 9 beams and an alarm system. There is a strong borehole and irrigation system. 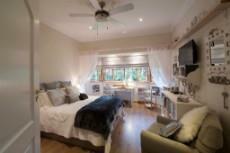 A 3rd additional separate guest suite/teen pad with loft bedroom upstairs and lounge/dining/bathroom plus kitchen downstairs. Can also be used for guest suite, gym room, entertainment room, hobby room or extra storage space. 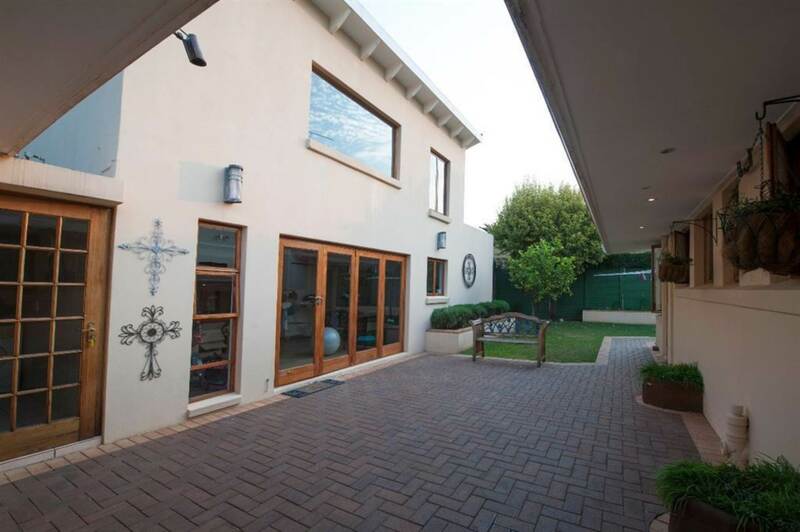 An appealing home to all in respect of lifestyle and security, with quick access to schools shops and highways.